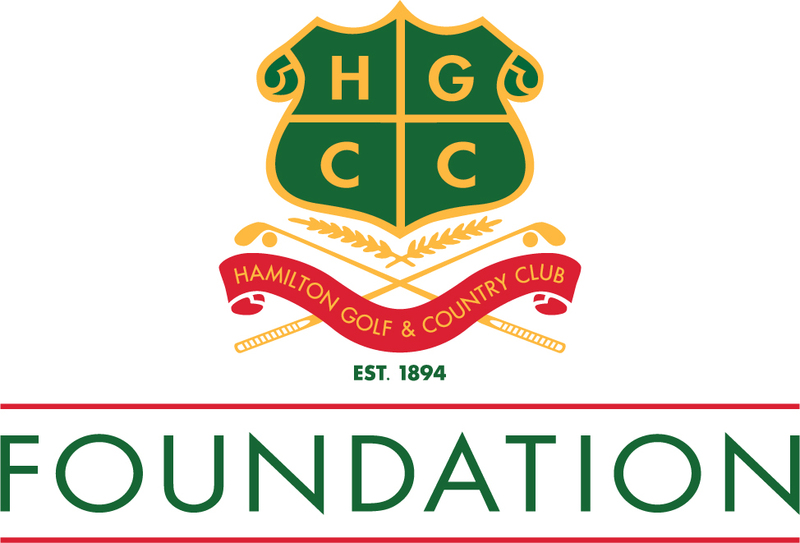 The HGCC Foundation aspires to be an outstanding philanthropic organization serving the broader Hamilton community. To be a significant charitable contributor to the community where our members live, work and play. Funding for the Foundation comes primarily from two charity golf tournaments - The Borthwick Memorial Golf Tournament sponsored by Turkstra Lumber and the women’s Golf for a Cause Golf Tournament. Since making its first disbursements in 2013, the HGCC Foundation has distributed more than $1.3 million to local charities over the past six years. The 2019 HGCC Foundation Board of Directors operates at arms length from the club’s Board of Directors. Foundation Board members include; Foundation President; Brian Short, Foundation Vice-President; Al Scott, Pat Collins, Donna Calder-Louth and Chris Bellefeuille, plus HGCC Directors; Joel Ippolito, Sean McDonough (ex-officio) and Chris Hamel. Members who sponsor the charities partners include; Richard Hamel, Ron Barr, Steve Dunn and Clint Davis. Ancaster Community Services (ACS) is a community-based agency providing many supportive programs to assist those in need in our growing community. We provide food assistance, transportation programs, counseling, information and referral services, youth programs and volunteer engagement opportunities - www.ancastercommunityservices.ca. McMaster Children's Hospital Foundation – The Pediatric Palliative Care Project. McMaster Children’ Hospital is the specialized pediatric hospital for the 600,000 children in south central Ontario. The promise of our interdisciplinary Palliative Care team is to provide the best quality of life for terminally ill patients and their families - www.mackids.ca. The HGCC Foundation lived up to its vision for a better tomorrow donating $213,000 to six community charity partners in November 2018. There were beautiful smiles all-around as the six local charity partners gathered with the HGCC Foundation Board and other members to celebrate the spirit of giving and recognize the incredible work these charities perform in Hamilton and surrounding areas. “Our heartfelt thanks too, goes out to the HGCC Foundation and the members at the club. It is wonderful to see people working together to improve the lives of others. This is such a giving community,” says Donna Marcaccio, Executive Director, Rygiel Supports for Community Living. In its first year 75 per cent of the young cancer patients died in hospital. This past year the number dropped to 40 per cent as more youngsters died at home or in their community surrounded by loved ones. Dr. Lysecki explained that the program gives families/parents/children more options to consider when a child is dying from cancer. “The program is really just getting going and HGCC is at the ground floor of starting this,” Dr. Lysecki says, noting the end goal is to develop/build a children’s hospice in Hamilton. 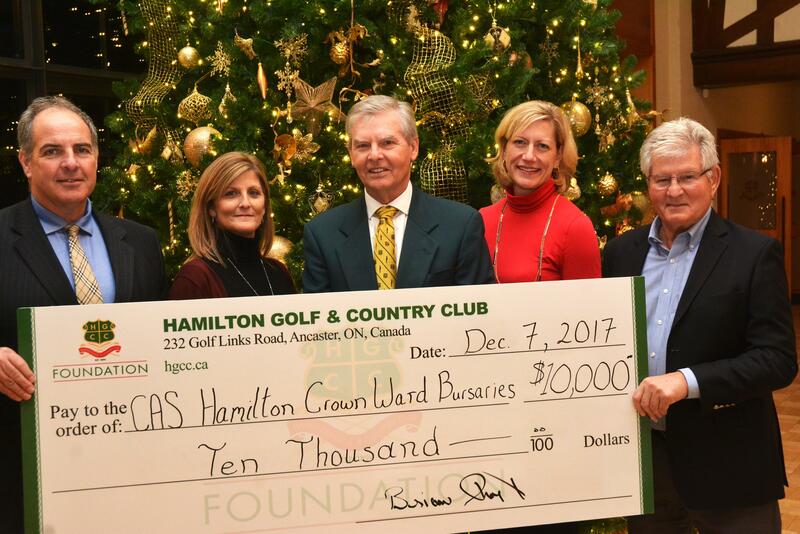 The HGCC Foundation’s six primary (key) charities partners for 2018 included; Ancaster Community Services ($20,000) , Rygiel Supports for Community Living ($40,000), McMaster Children's Hospital Foundation – The Pediatric Palliative Care Project ($40,000), De Mazenod Door Outreach ($33,000), The Hamilton Community Food Centre, a program of the Neighbour 2 Neighbour Centre ($40,000) and the Alzheimer Society of Hamilton and Halton ($40,000). “I’d like to thank the HGCC Foundation for the generous donation to Neighbour to Neighbour’s Hamilton Community Food Centre that operates in the Rolston neighbourhood of Hamilton, an area with high rates of poverty, food insecurity and new immigrant populations,” says Shane Farraway, Communications & Events Coordinator at N2N. Since making its first disbursements in 2013, the HGCC Foundation has distributed more than $1.3 million to local charities over the past six years. The HGCC Foundation Board of Directors operates at arms length from the club’s Board of Directors. Foundation Board members include; Foundation President; Brian Short, Foundation Vice-President; Al Scott, Pat Collins, Donna Calder-Louth and Chris Bellefeuille, plus HGCC Directors; Scott Shannon, Sean McDonough and Chris Hamel. “We just want to say thank-you. With this new funding we’re going to be able to launch a new and much needed program - Diverse Communities Outreach in north Hamilton. It will focus on building partnerships to under-served communities in our city, including newcomers to Canada, those of diverse communities and/or lower socio-economic groups,” says Aileen Bradshaw, Executive Director for the Alzheimer Society of Hamilton and Halton. “In delivering the program, families living with dementia in the target communities will be better able to prepare for the dementia journey and manage the day-to-day realities this brings. At a community level, the program will help families better connect with existing community supports which will encourage their participation in their community and reduce the social isolation that often accompanies a family living with dementia,” Bradshaw added. HGCC member Cathy Sullivan, who volunteers at De Mazenod Door Community Outreach at King Street and Victoria Avenue in downtown, accepted the cheque on behalf of the organization. Her co-chair for Golf for a Cause, Deb Cacioppo, shared a few personal thoughts on being part of a team working for the greater good. “I would like to begin by thanking all of the Foundation Executive lead by the capable and generous team of friends - Alan Scott and Brian Short. Gentleman, you have been precisely that - Gentlemen leading others towards the common goal of helping those in need by our club. May history record your generosity of spirit and kindness passed along to those in tremendous need,” Deb says, noting her team was greatly assisted by Lori Serafini, Christine Heagle, Jill Winch and Marg Chapman. Today, she reflects on the 400-plus street people who depend daily on De Mazenod Door for breakfast and lunch – knowing that many of them suffer from mental illness and have nowhere else to turn at this moment in time in their lives. 365 days of the year, De Mazenod Door is there for them.